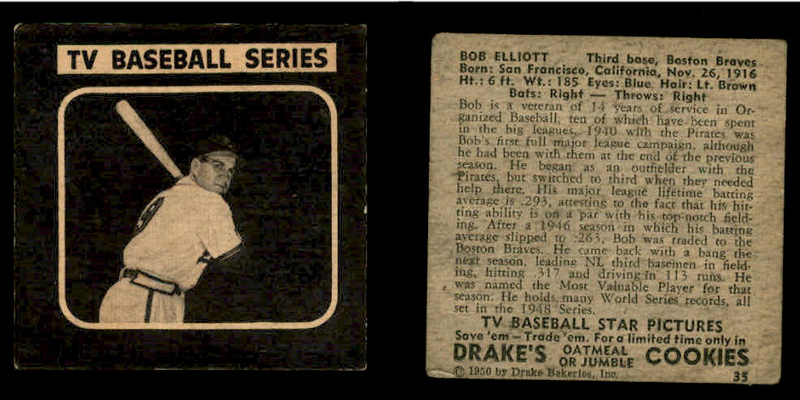 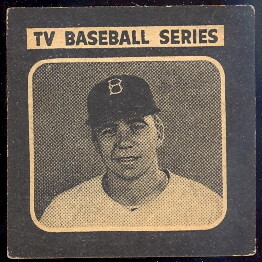 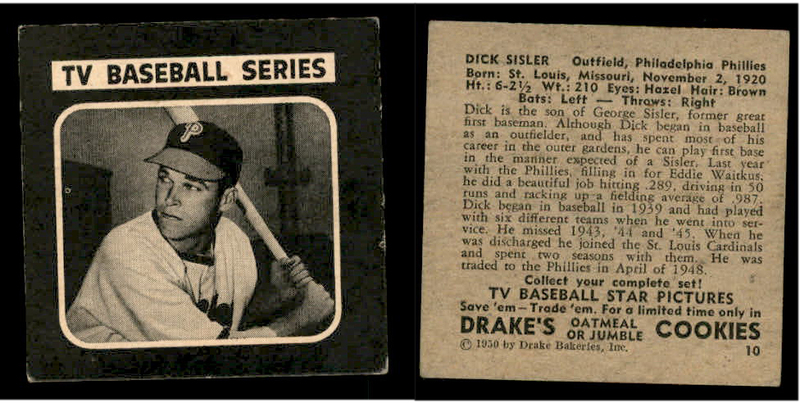 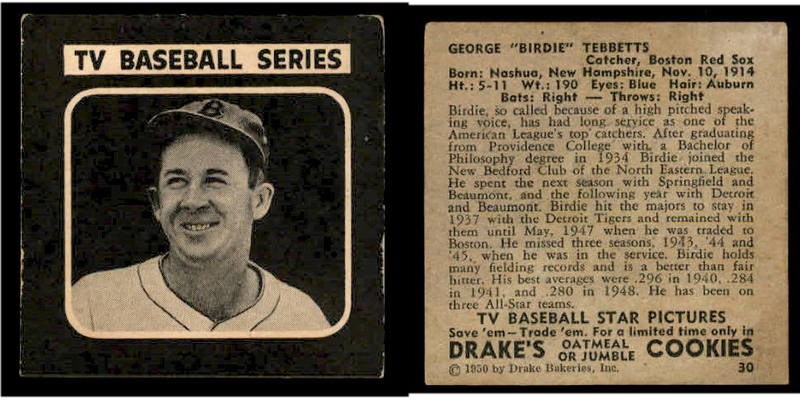 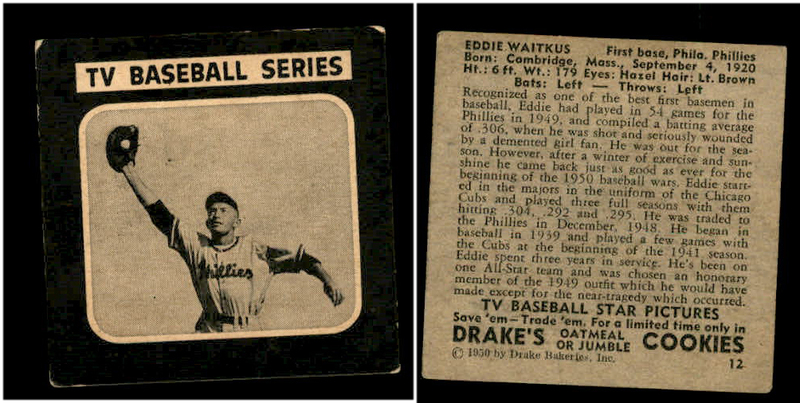 Entitled "TV Baseball Series" the 1950 Drake's Bakeries set pictures 36 different players on a television screen format. 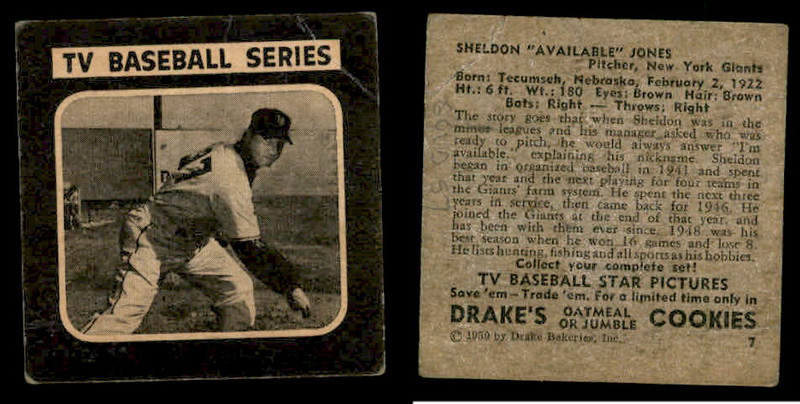 These cards are very rare. 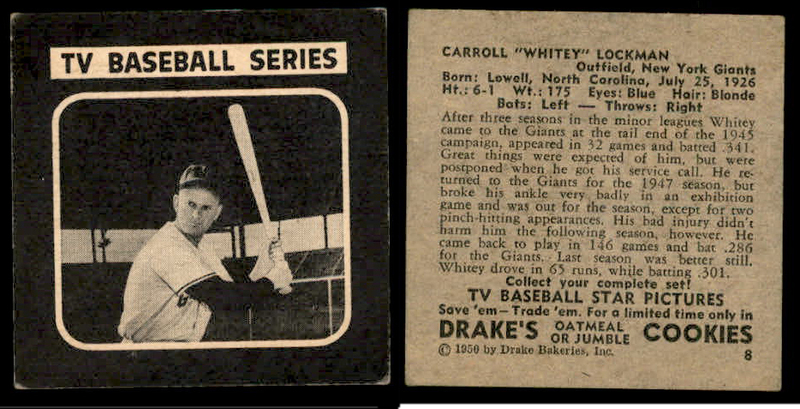 The cards measure 2-1/2" X 2-1/2" and feature black and white photos surrounded by a black border. 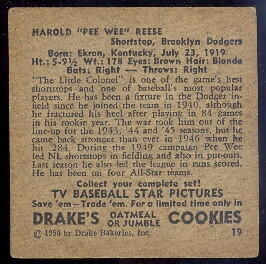 Backs contain a short bio and advertisement for packages of oatmeal or jumble cookies.